The journey for Dominic Bendall-Court continues, having impressed in Australia Dom is now back in the UK preparing his visa to travel back to Australia and hook up with Gold Coast United again for 2019 season. 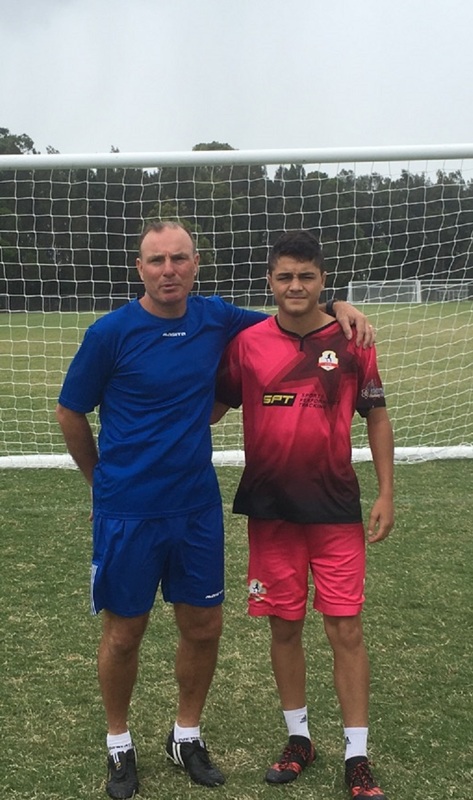 Read about Dom’s journey directly on the Gold Coast United Website and watch some footage of him in training. 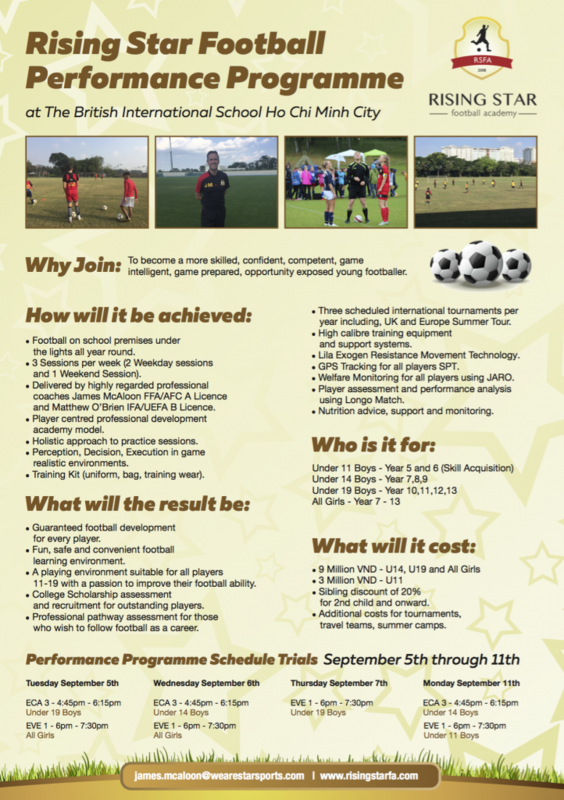 It is with great excitement that we announce our Football Performance Programme which will be hosted at The British International School Ho Chi Minh City. Summer Tour in 2016 was a fantastic trip and we as a football family made memories and friendships that will last a lifetime. In 2017 we have something new and even more special planned for you. 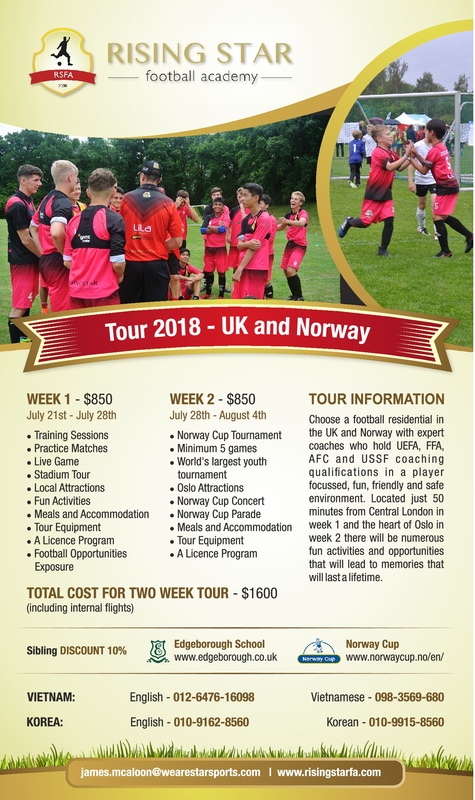 We will first travel to the United Kingdom and stay near London for 1 week from July 22nd to July 29th, we will then travel to Oslo, Norway to take part in the Norway Cup July 29th to August 6th and then we will travel back to the UK for a further week August 6th to August 13th. 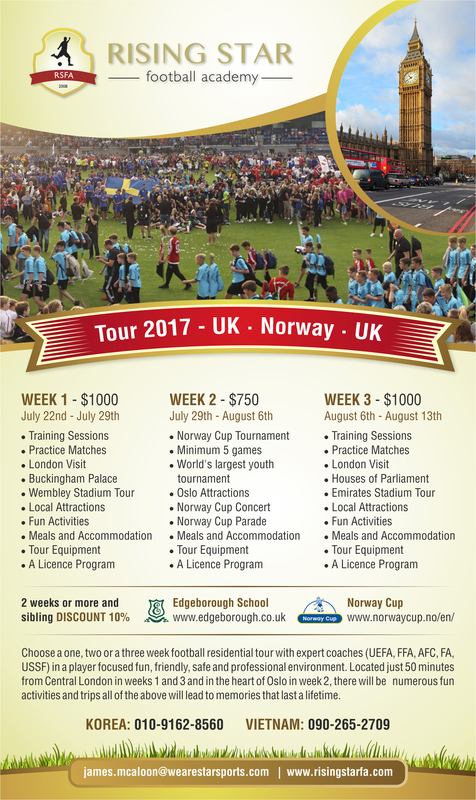 Both weeks in the UK will be used as training camps to help us prepare for when we visit Norway and help us to improve once we have returned. We will also play training and friendly games, and will take in local attractions in London from where we will be less than an hour away from. There will be an opportunity to visit Buckingham Palace and the House of Parliament, plus walk the streets of one of Europes oldest cities. We will also take a stadium tour on each of the weeks, where we hopefully visit the home of football Wembley Stadium. Our home for our weeks in the UK will be the stunning grounds of Frensham Place which is now home to Edgeborough Boarding School http://www.edgeborough.co.uk. The beautiful Stone built country mansion and its grounds will make the idyllic setting for our players to enjoy football as well as to feel what it is like to live in the grounds of an old English mansion property. Players are welcome to join us for 1, 2 or 3 weeks of the tour and we are happy to arrange for transport to and from the relevant airport. As we are staying very close to London travelling to any of London’s three major airports will be convenient for everyone. All the prices above include meals, accommodation and excursions but do not include flights. Flights to and from the UK and flights to and from UK to Oslo will need to be paid for separately and we have arranged a tour sponsored Airline this year which will be Etihad Airlines. More details to follow. Once you have signed up we will be asking for a 25% non refundable deposit so that we can secure facilities and excursions at the best prices. We will send you a payment link or you can make an international transfer. 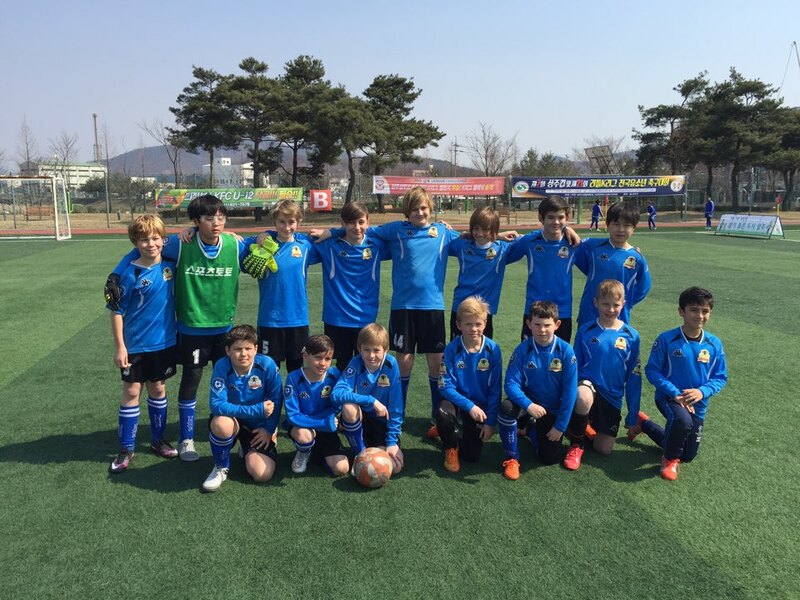 A picture paints a thousand words, so here are videos for each of the age groups from the Sangju Cup 2016. Well done to all the players, parents and coaches. There were some great victories and many learning experiences. The standard of the tournament was again Elite and professional level and competing is helping us grow as teams and individuals. There may have been more losses than victories this weekend, however we take victories in individual moments of brilliance which showcase what our players have learnt in the past months. We will keep working hard week in week out and one day soon we will take home a title. 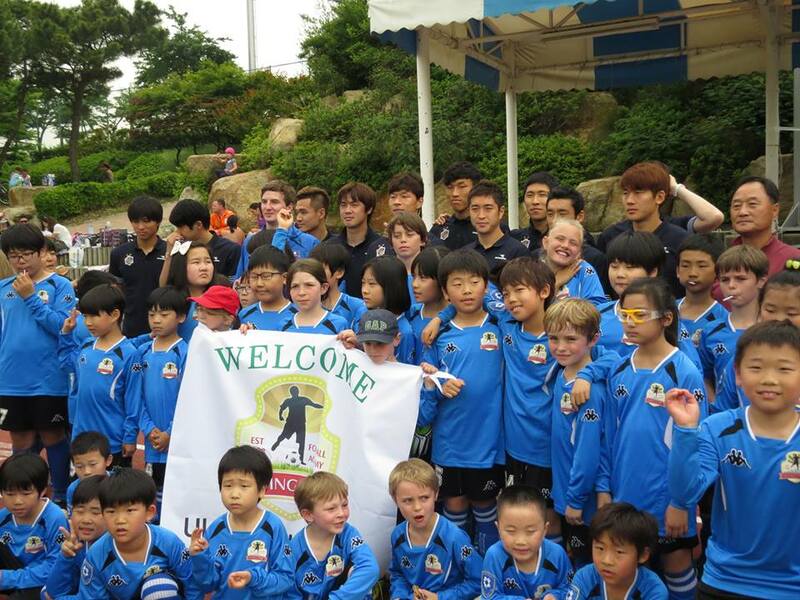 The Ulsan Junior Cup 2014 will be held at Seobu Spanish World Cup training field on this coming Saturday. Please come join us for some great football, waffles, coffee, cakes and cookies.